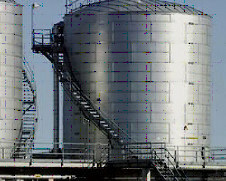 Alumaguard® All Weather weather-proofing cladding from Polyguard Products is the only flexible insulation cladding available in the market which combines the self-healing characteristics of rubberized asphalt with the ease of application and cold weather performance of acrylic adhesive-based products. 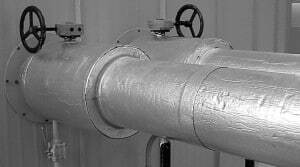 Alumaguard All Weather is a composite membrane consisting of a multi-ply embossed UV-resistant aluminum foil/polymer laminate to which is applied a layer of rubberized asphalt specially formulated for use on insulated duct and piping applications. A metalized polyester film coated with a high quality low temperature acrylic adhesive is then applied to the rubberized asphalt. A heavy duty release liner gives it its peel and stick functionality. Alumaguard® All-Weather is designed to be used outdoors to weather-proof exterior insulated ductwork, piping or other insulated tanks, vessels and equipment. 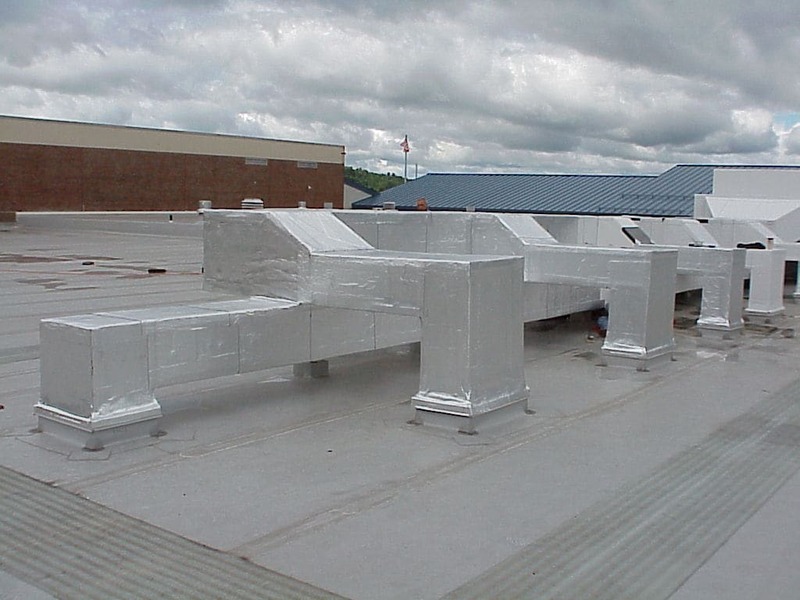 It resists moisture, air and vapor intrusion. Also available as Alumaguard® All Weather Cool Wrap this technology is a 'green' energy saving flexible cladding available in configurations for all of our Alumaguard® family products. 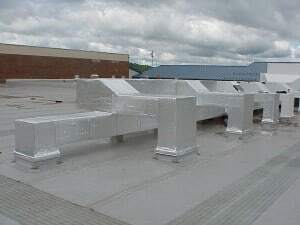 Cool Wrap™ technologies includes a matte white finish, it qualifies for LEED credits, an energy star rating, and it exceeds California Title 24 (emissivity & reflectivity). Alumaguard® Lite - Used for the underside of the duct to eliminate the need for pinning.